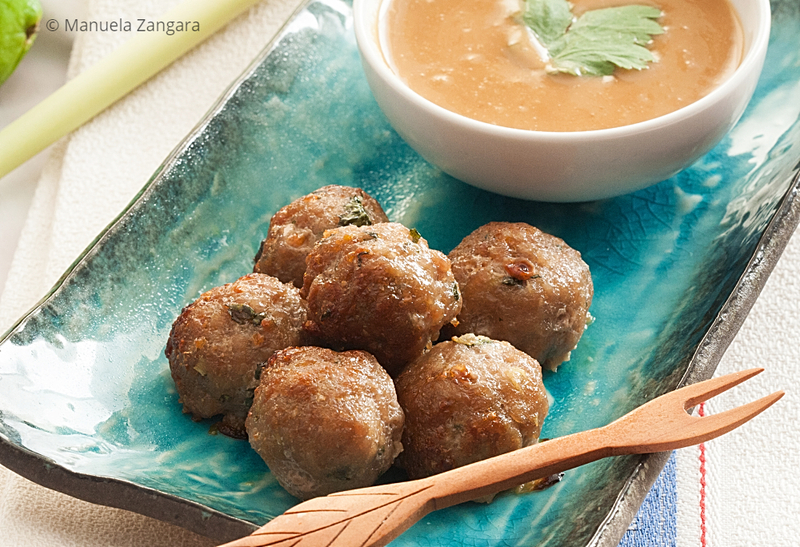 I am very happy to be able to share the recipe for these Low Fodmap Satay Pork Meatballs! The reason is simple: it is an amazing dish. Since going Low Fodmap, I have been craving Asian food. I miss Indian curries so much (I still need to work on adapting my favourite ones for the Low Fodmap diet and it’s not easy), however, I found out that Thai food can be adapted much more easily. 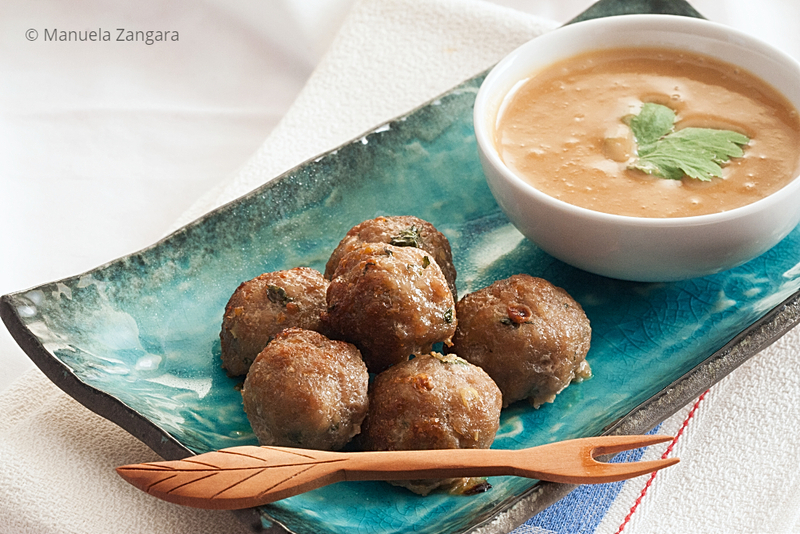 I have always loved Satay, so I immediately started experimenting with it. The majority of the recipes I found online had coconut milk or coconut cream among the ingredients of the Satay sauce. I don’t always digest coconut properly (this may not be just a Fodmap issue though), so came up with a coconut-free recipe and let me tell you that you won’t be able to tell the difference! Also, this way you save on some extra calories. The recipe I am sharing today is so good that it made it into my menu rotation and I make it at least once every 2 weeks. It also helps that it is very easy and quick to make it. 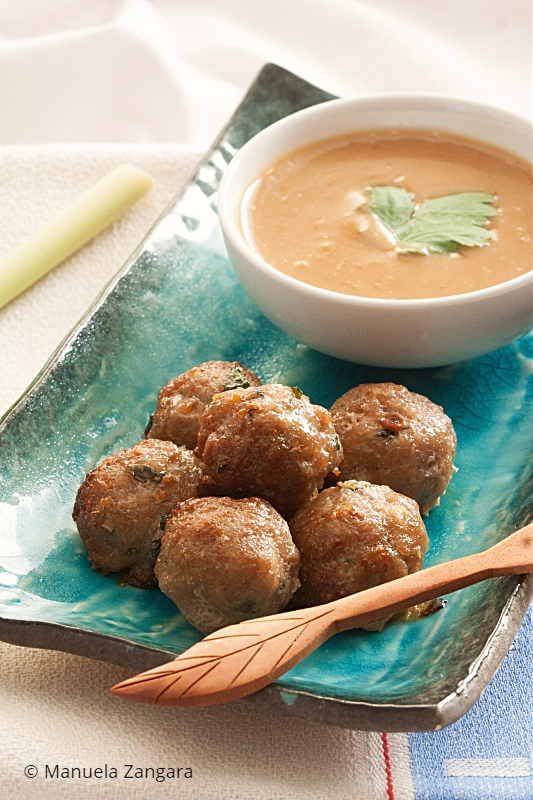 If you like Satay and are not obliged to eat Low Fodmap, check out this recipe and this recipe. 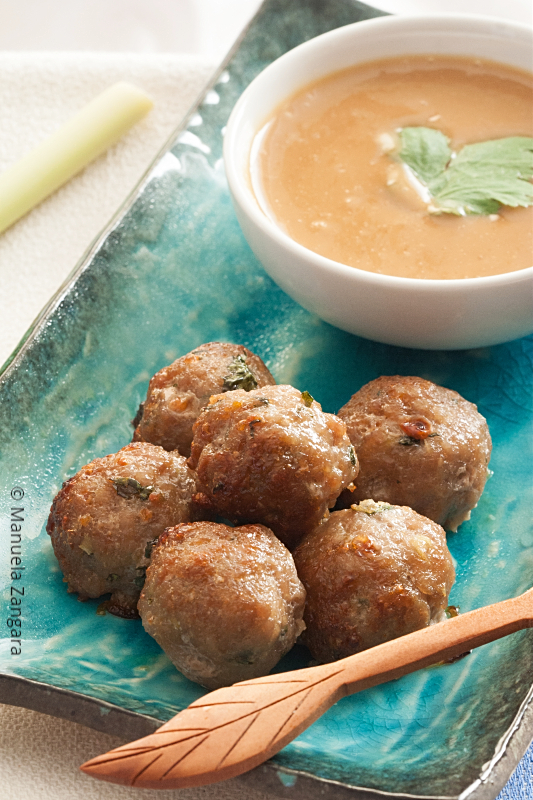 Low Fodmap Satay Pork Meatballs – delicious Asian style meatballs served with a quick Satay sauce that is low FODMAP and easy to digest. Using your hands, mix together all the ingredients in a big bowl. 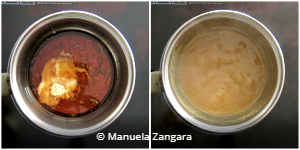 Using a ½ tablespoon, divide the mince. 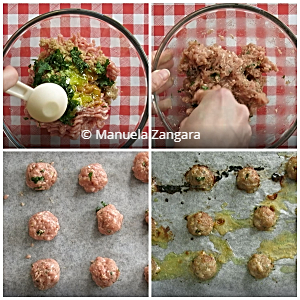 Then wet both hands with some water or oil spray and shape into about 12 meatballs. Spray them with some oil and bake in a preheated oven at 180°C – 355°F for 15 minutes, or until cooked through. Keep aside. 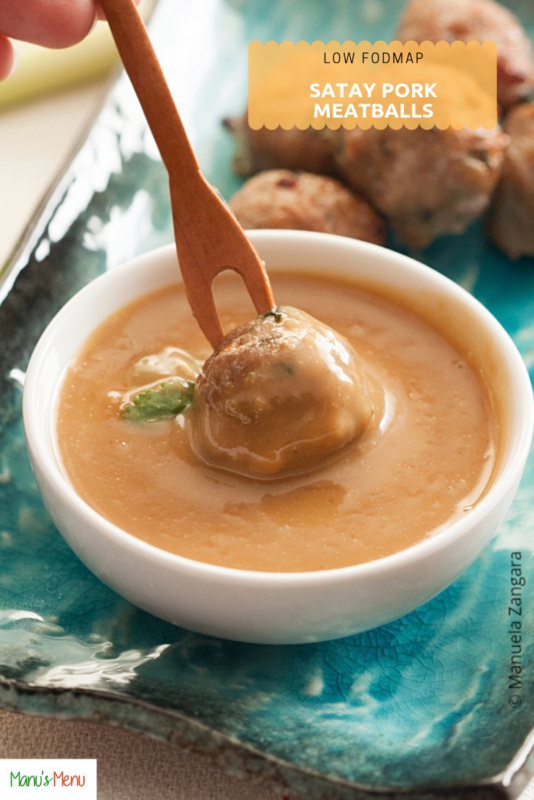 Serve with the pork meatballs. These look absolutely scrumptious! 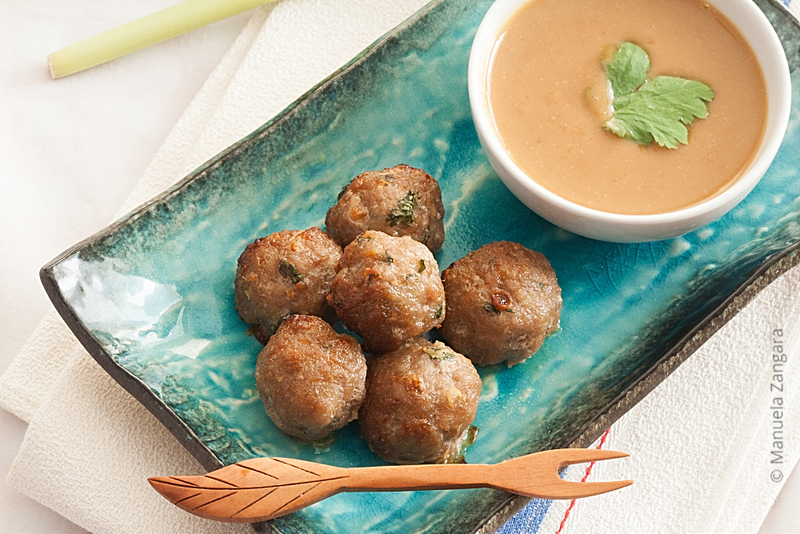 I love satay, and those pork meatballs look divine. I will definitely be trying this soon!